"I have used the kennels many times since moving to the area three years ago. Dawn, Geoff, and their staff are excellent. I have two boisterous dogs (spaniel and a flatcoat) who share a double kennel. They have the facility to let the dogs have a run out in their self-contained field – this is great. The flatcoat has food allergies and is kept an eye on and they give him his food separately – nothing is too much trouble. At one point I had to ask if they could keep the boys a little longer than expected due to building issues after our move. They did, and even gave them more runs out as it was November and quieter. They come out happy and bathed (although I'm sure Geoff gets wetter – I know what the flatcoat is like). Brilliant." "Have never had to leave my dogs before, was apprehensive to use kennels. But after picking my boys up today, I would definitely use again. Happy, bouncy, fluffy (even bathed!!) dogs. The staff are caring & helpful & helped me to relax on holiday knowing they were in safe hands. Can't thank you at Goldborough enough! Ernie & Bert thank you too." "Picked up Tibi & Bentley from another lovely stay at Goldborough. My dogs love going to stay there. The staff are friendly & always remember my four legged family members. They always come home tired, content & clean after their pre-departure bath & blow dry." "Just picked up my Husky puppy (one year old) from her first ever stay at Goldborough House Kennels. Shiloh was very happy & was her usual beautiful self when we picked her up. I was nervous about leaving her but after visiting the kennels & chatting to the very helpful & friendly staff, I felt so much better. It's a lovely kennels with lots of space & was very clean. We will definitely be using Goldborough again (future dates already booked), thanks again for taking such good care of Shiloh." "We always use Goldborough Kennels. Our dogs first stayed here when we were flooded back in 2006 & had to have lots of remedial work carried out. Our Pointer was very distressed & nervous (after a previous poor experience with another kennel). Geoff spent lots of time with him & he came back a changed, happier dog. We wouldn't take our dogs anywhere else now!" "I've used Goldborough House for several years for my two large dogs and cat, and my pets are always pleased when we arrive in reception. The staff there always make a fuss of all of them. The dogs share a double kennel which is a little larger for the two of them, and they come out happy and smelling clean. The walking area is brilliant, fully enclosed, grassed, and it's all individually walked which is good for my two, who aren't fans of little ones. My dogs have different diets and they are always more than happy to cater for that. Both the kennels and cattery always smell and look clean and when I leave I feel happy they'll get well looked after. Also my cat has medication and it's never an issue for them to give it to her. Overall, a fab service every time, and I will carry on using and recommending them." "Dex visited for the first time & stayed for two weeks. He came home fresh smelling & happy. You've also managed the impossible - he's actually put on some weight! Thank you so much!" "Lovely kennels, lovely staff! Would highly recommend. Very knowledgeable & understanding. Very caring! First class! So glad I found them." "I have used Goldborough Kennels three times in the last year. All three times were a result of me going into hospital, the third time my dog was taken in with no notice whatsoever. An excellent facility, my dog was only too happy to stay there again, he was in peak condition when I collected him! I would have no hesitation recommending Goldborough House." "Goldborough Kennels have looked after my dogs many times over the past few years and I've always been very impressed with their care and service provided. Would definitely recommend." 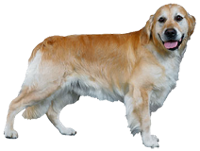 "Whenever I use Goldborough Kennels, my dog always comes home very happy and clean. The staff are very nice and nothing is ever too much trouble. Without doubt, the best kennels that I have used." "Have looked after my two dogs brilliantly for the last eight years. Excellent service! Our dogs love going to the kennels, they actually pull to get through the door. They've always been very well looked after and enjoyed their runs in the paddock. Can't praise these guys enough." "Excellent facilities, friendly personal service, dogs always come back happy and freshly bathed. Would definitely recommend." "Boarding for our two dogs. Fantastic family run business who really proved they cared for our pets. I look forward to using them again at our next holiday." "Looking after our dogs on a regular basis. Our dogs always receive first-class care. They run into the kennels happily and are always clean and calm when they come out. They also have two walks a day in the fenced paddock." Contact us for more feedback about our cattery and kennels.